Location This Killarney Accommodation is a Boutique Hotel. 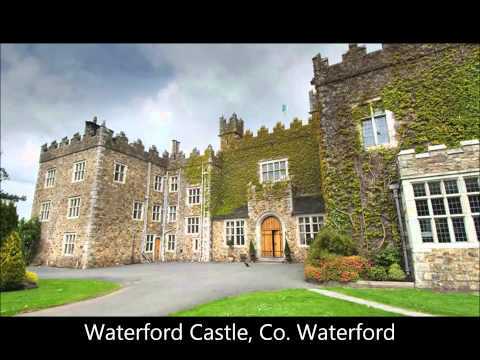 It overlooks Killarney National Park, at the start of the Kerry Way, on the famous Ring of Kerry. Victoria House Hotel is a haven of peace and tranquillity. Killarney was the first Tourist Destination in Ireland and has a tradition of welcoming visitors for over 250 years. Monarchs, Poets, Artists, Writers and Composers have visited and been inspired by the unique and unsurpassed beauty of the region. Rooms Accommodation at the Victoria House Hotel comprises of 35 bedrooms in a rustic country house elegance. All warm and cosy, they are just the place to relax and unwind after a day exploring the beautiful surrounds. The 35 Luxurious Bedrooms include a selection of styles from 16 Standard Rooms to 7 Superior Standard Rooms and 12 Deluxe Rooms. These in turn offer a combination of Double, Twin, Family and Queen Sized Double Rooms. Restaurant Sample the varied Breakfast, Lunch and Dinner Menus which caters for all tastes, including Vegetarian. Dining is a relaxed yet special experience in the Restaurant. With emphasis on home cooked and locally sourced produce, dishes highlight the best of traditional and modern Irish cuisine. Lounge/Bar Enjoy the friendly atmosphere in the friendly Ivy Room Bar at Courtney's in the Victoria House Hotel Relax after a Days Golfing, Touring, Cycling.